There is derived an inherent pleasure in practicing and watching the art of batting unfold itself. While mastering the many (or any) art/s of cricket, or any other game, is an arduous task, bowling is referred to a particularly laborious task. 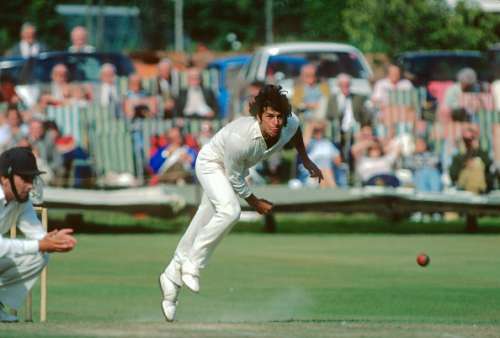 Imran Khan told Wasim Akram during Pakistan’s 1987 tour to England that to be a good bowler ‘you have to work like a dog’. The contrast is baffling; between the adjectives used to describe the mastery of batting (‘Prince’ Lara, ‘Master Tendulkar) and that used for bowling by one of its finest exponents. But bowlers have been the game’s most tenacious species. Fancy this fact; for each of the years between 2009 and 2016, the overall economy rate in T20 internationals has ranged between 7.11 and 7.62. Given the no holds barred approach batsmen adopt in this format, it is startling to see bowlers coming into their own and not becoming stuffed bags being punched blindfolded. Bowlers have been great and much under-rated ‘survivors’. As much as we believe that cricket’s rules have tilted in the batsman’s favour, there have been bowlers who have seen unbelievable runs of form through their careers. In this article, we list 8 bowlers who have taken wickets by the bagful over an extended run in their careers. A shin injury that Khan suffered in 1984, kept him out of action for nearly 20 months, at a time when Imran was at the height of his powers. He famously tormented the touring Indian side in 1982/83, taking 40 wickets in the 6 match series in a display which prompted Gavaskar to say that the best way to counter Imran’s pace would be to “put a sightscreen between him and us”. During the four-year period between March 1982 and November 1986, the former Pakistani skipper took almost 6 wickets per match at an average of 14.3. His performance in this period included 26 wickets in the series vs England in 1982, a career best 14 wicket match haul vs Sri Lanka at Lahore (1982). One wonders if the shin injury had not put him out of action for almost 2 years, he would surely have ended with more than 400 Test wickets.